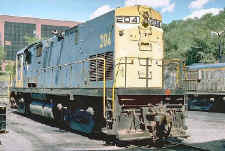 C420 #200 Alco Industries builder photo with as delivered 900/1100 fuel/water capacity tanks. 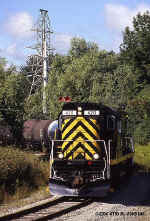 "Diesels of the Sunrise Trail" Author : John Scala page 44. 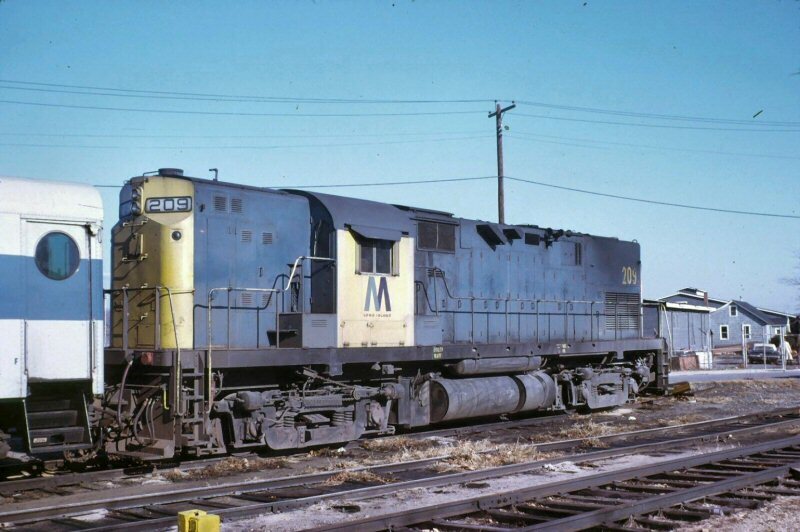 "... #200 12/1963.....modified by Morris Park... #207 (built 2/1964) "...the 207 has the deflectors at the top of the long hood to keep smoke away from the cab.." Photo: 11/01/1967 John Scala text..."
First thing, my understanding is that running the locomotives LHF was a company preference, not a safety decision. 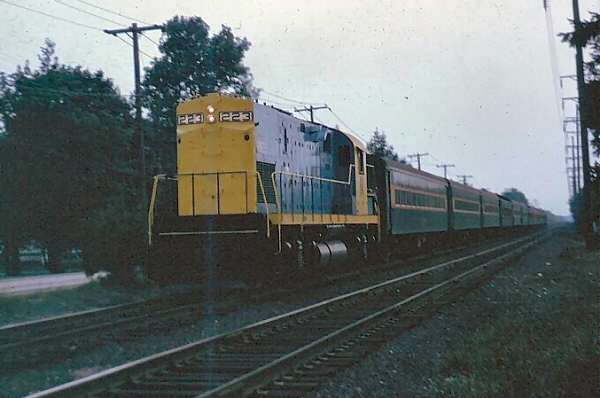 According to copies of documents from ALCO that I have, the short hood of the Century (Cxxx) and Road Switcher (RSx) series was touted as being equally protective in a head-end collision. 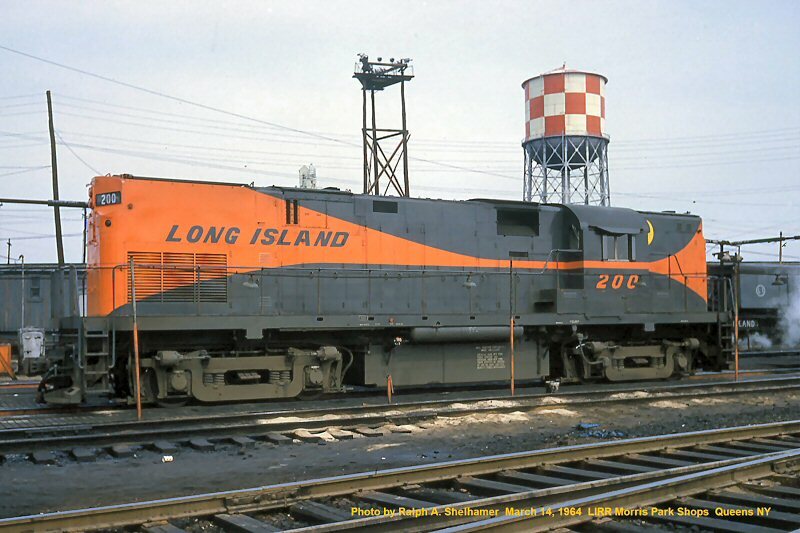 I am not sure I completely buy into this, so it is possible that the LIRR did not either, but I was under the impression that the influx of steam-era guys in management and engine service influenced the decision to have the C420 set-up for LHF operation. Second, I am 90% sure that the LIRR added the smoke deflectors. 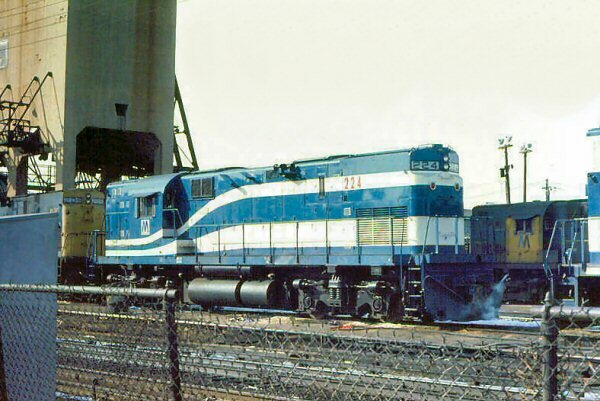 ALCO did not intend these to be used as commuter engines; the smoke kicking up at the start of a freight run was not a huge inconvenience, but when the engine would be revved up dozens of times from a dead stop on just one run on the LIRR, it became unbearable in the cab. To paraphrase what a former employee told me, the LIRR saw the deflectors as the quickest solution to the smoke problem. It wasn't a huge help at start-up because of the reasons Al states, but it was enough to lift a fair amount of smoke up and over the cab and make the situation manageable. 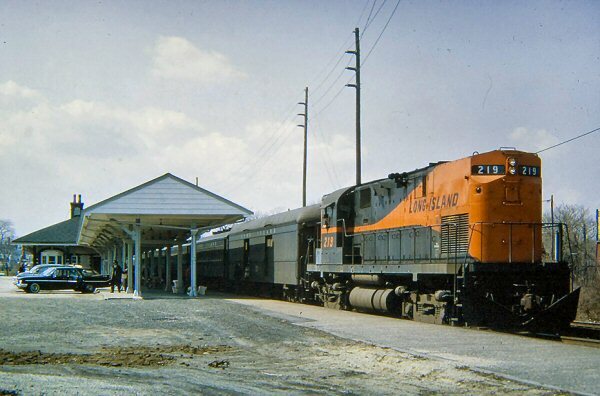 In June of 1963, the American Locomotive Company, better known as ALCO, began to build the Century 420 locomotive in their assembly plant in Schenectady, New York. 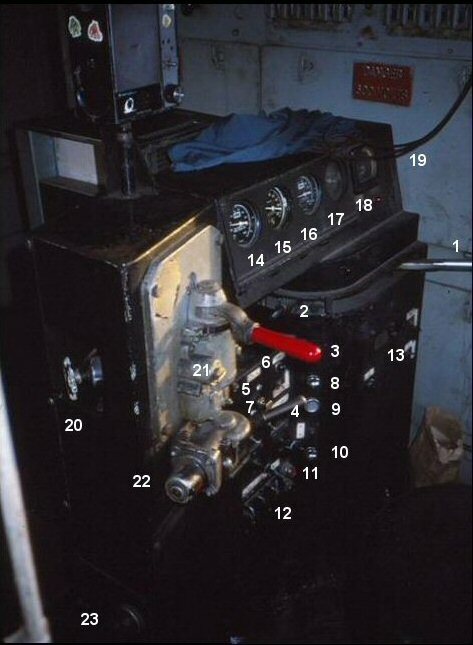 The C-420, as it was called, was very similar to the layout and designs of predecessor engines, such as the RS-I1, RS-32 and RS-36. 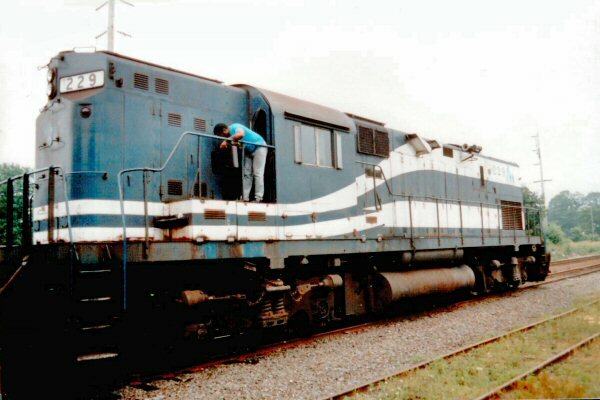 However, the C-420 was of the new Century-styled, central air intake design. 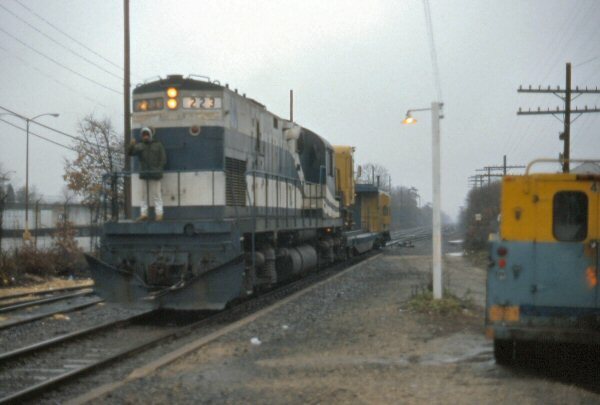 The long hood seemed noticeably longer when compared to other RS (Road Switcher) engines. This was because the various car body filters were replaced by a centralized air system intake near the cab. 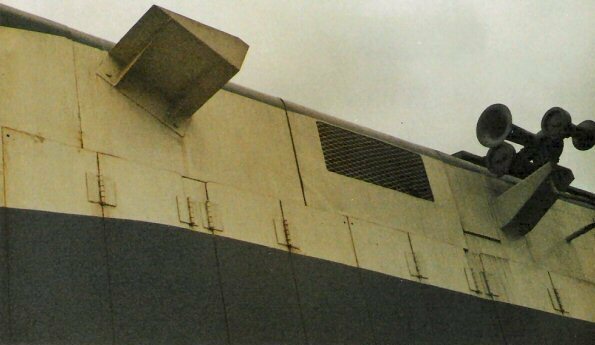 This allowed the famous ALCO radiator shutters to be replaced by a smaller fixed air intake at that same spot. 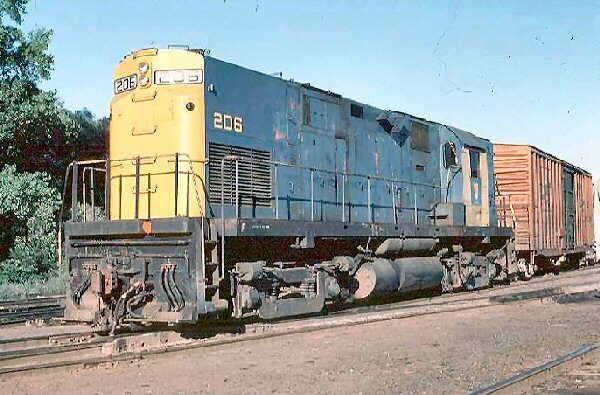 These engines were built with 12 cylinder 251c prime movers, and came in two distinct models, with various options. The C-420 was available in both high and low nose short hoods. The reason for the high short hood was to provide space for a steam generator. 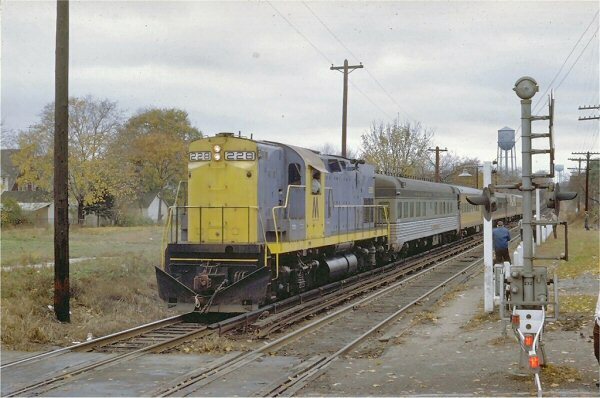 Both the Long Island and Monon Railroads had the high nose option for steam generators. 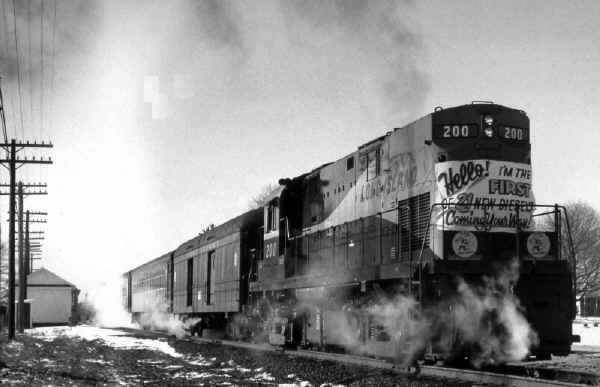 The Norfolk & Western ordered the high nose hood version as well; however, they were not equipped with a steam generator. Their reasoning was simply for crew safety. Some railroads, such as N&W and Southern, believed the high nose short hood gave the crews a safer buffer in case of a grade crossing accident or other mishap. 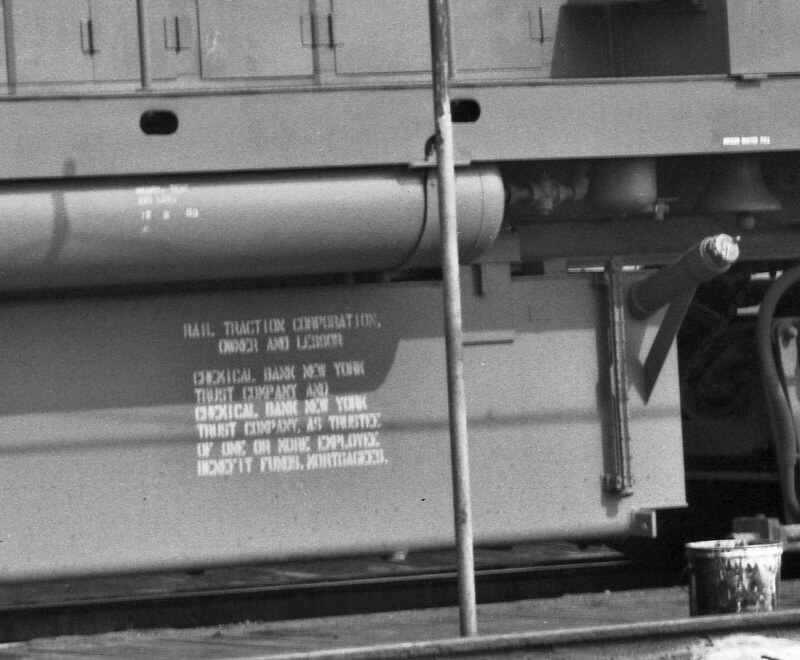 Orders for low nose C-420's included such railroads as the Union Pacific, Piedmont & Northern, Lehigh & Hudson River and Lehigh Valley. The low nose was used due to the fact that a steam generator was not necessary and would provide better visibility for the entire crew. 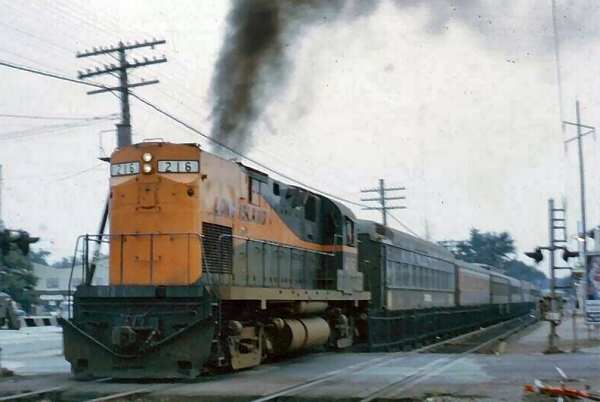 Of the 129 units that ALCO built, 127 were for domestic railroads. Two were built for Mexico. 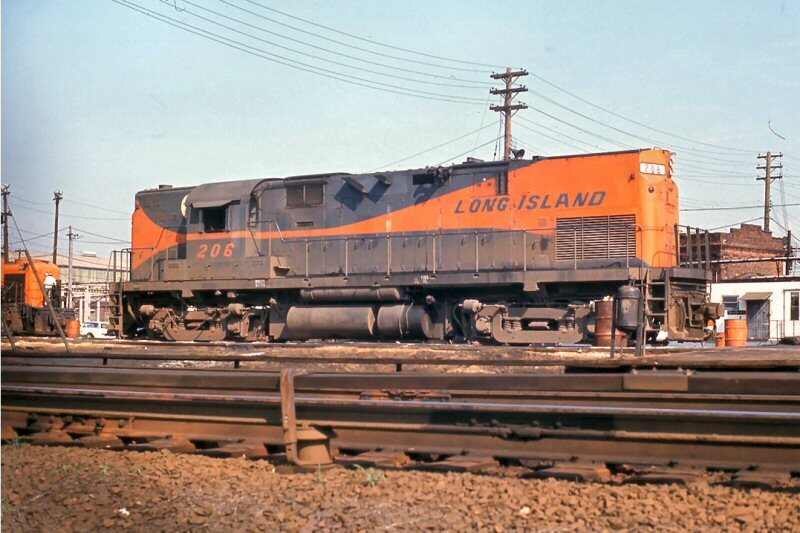 In 1963, the Long Island Rail Road went shopping for new motive power. 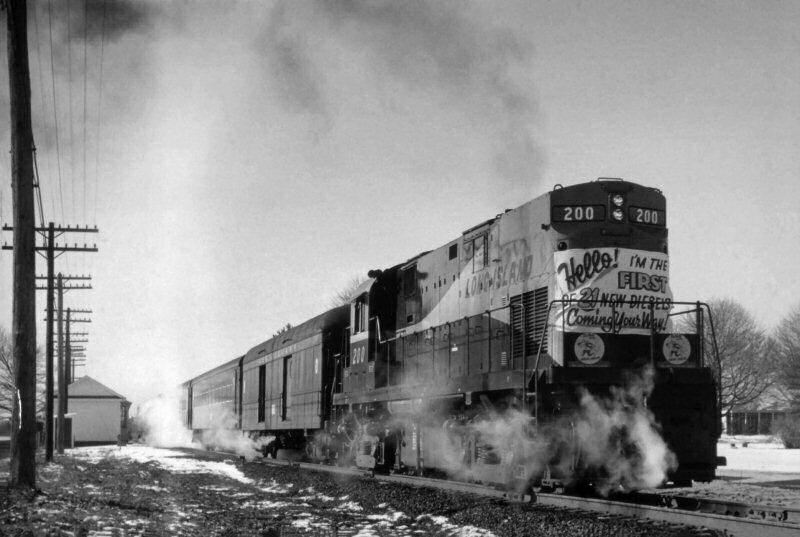 The C-420 was the railroad's choice. 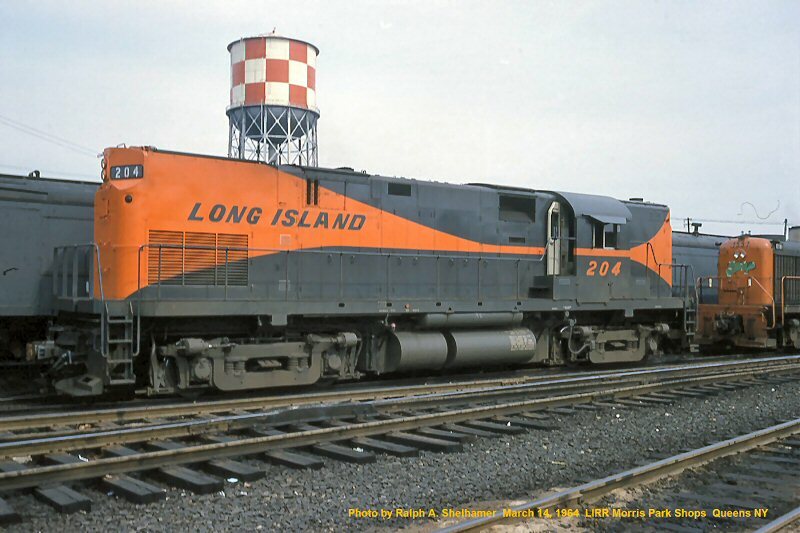 However, the LIRR decided to lease the engines from ALCO, rather than buy them. 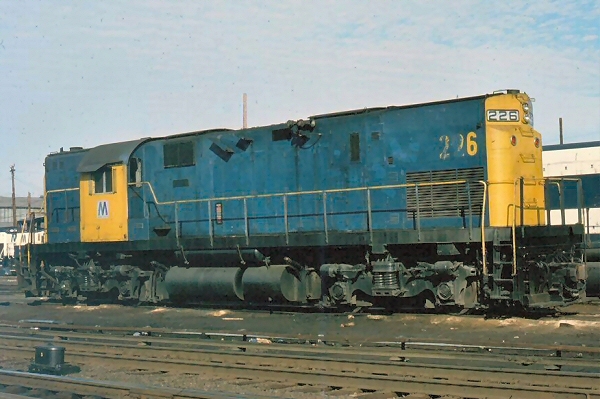 These units were numbered 200 -221. 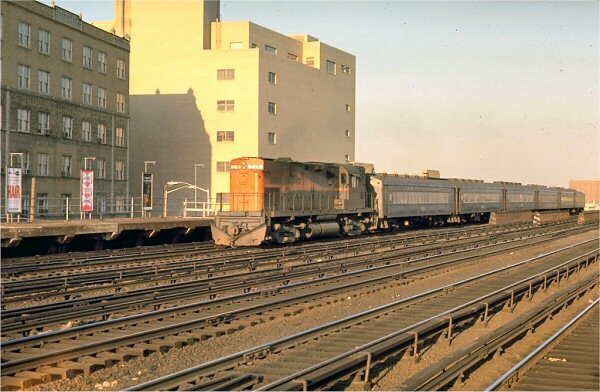 When the units arrived on the property, they were painted gray and orange, more commonly referred to as the World's Fair paint scheme. 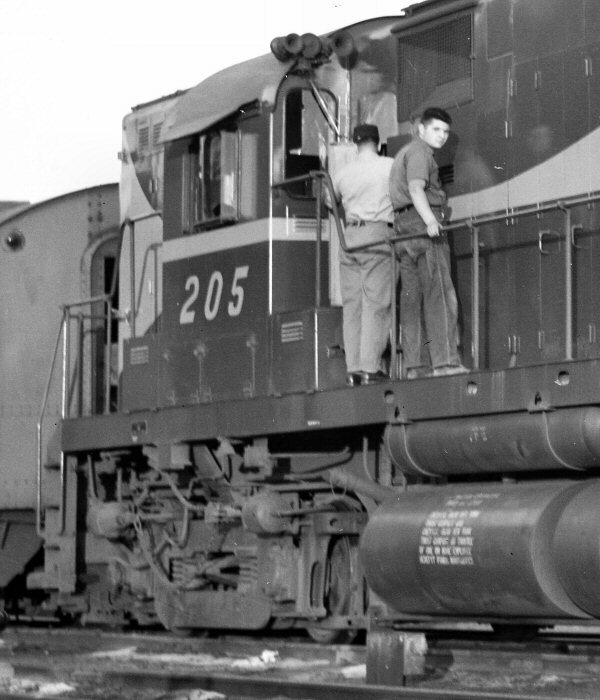 When delivered, engines 200 through 203 had a 900 gallon fuel tank and an 1,100 gallon water tank. The Morris Park shop crews removed and replaced the tanks with 1,000 gallon fuel tanks and 1,900 gallon water tanks. 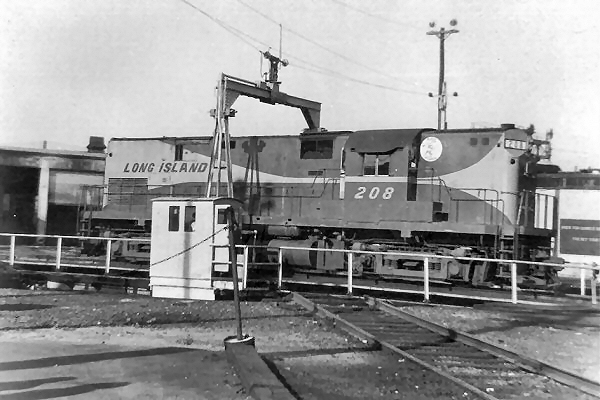 Before 204 or 205 were delivered, the LIRR had ALCO remove the smaller tanks and replace them with the larger tanks. All subsequent engines were built with the larger tanks. 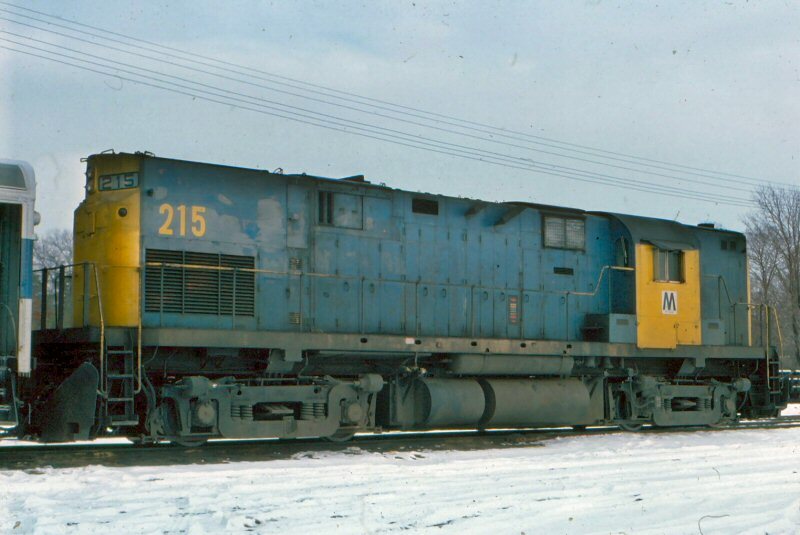 It is also interesting to note that engines 210 through 221 were equipped with snow plows on the pilot of the long hood. 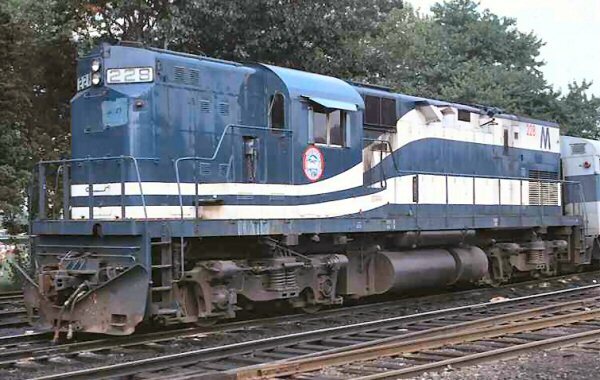 ALCO denoted the model of these engines as C-420, and was classified as AGP-20msc. What does this mean? AGP stood for ALCO General Purpose unit. 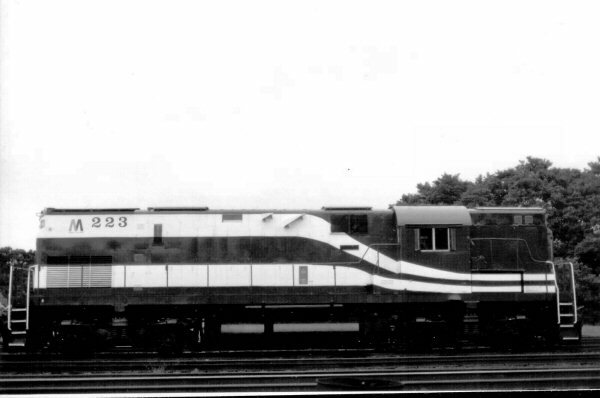 The 20 after the dash meant 2,000 horsepower and msc meant it was capable of being MU'd (used in multiple units), and had a steam generator with speed control; hence the classification. 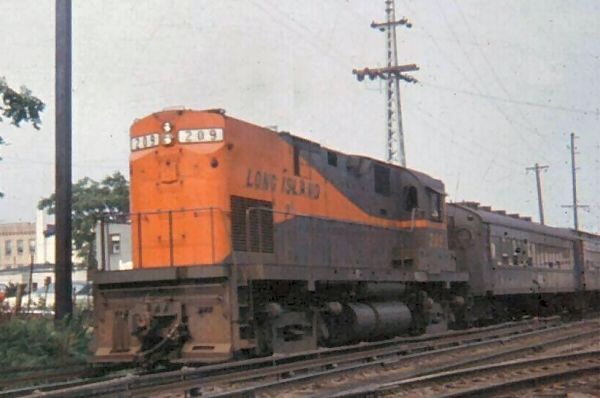 The MTA LIRR, however, re-classed them as L-l's in 1968. 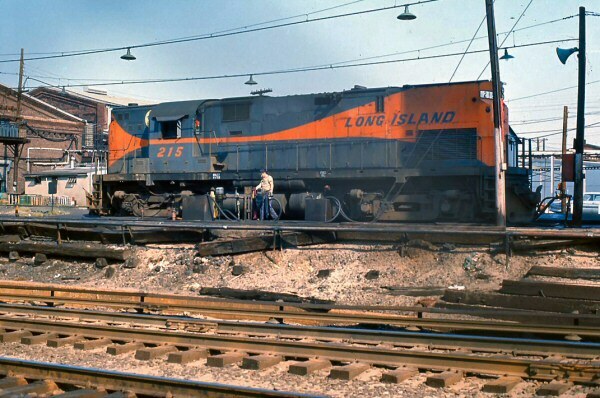 The L-l's saw service in almost every aspect of LIRR operations. 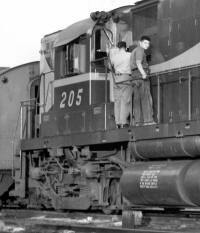 Passenger and freight trains alike were pulled by these engines. 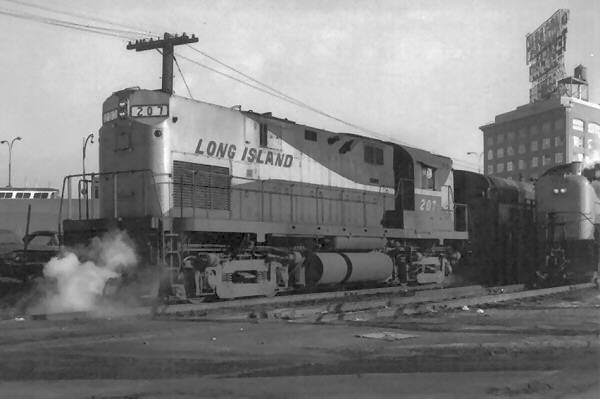 From crack passenger trains like The Cannonball, working the Silver Streak to Smithtown, to working the Patchogue to Babylon Scoot, these engines fit the bill. 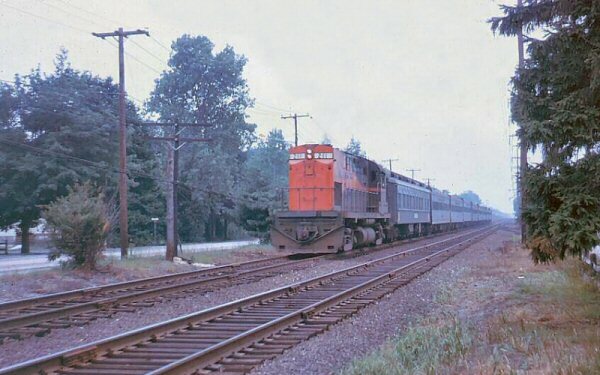 From local freights and road jobs, to switching Kings Park, Central Islip and Pilgrim State Hospitals, the Centuries always seemed to come through. 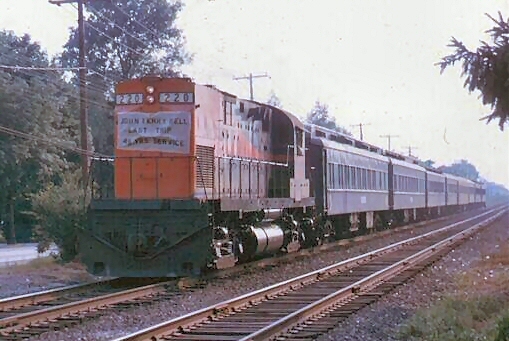 In 1968, the LIRR needed additional motive power. 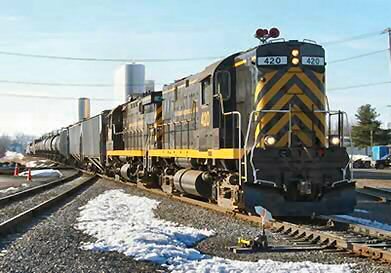 Again, they went back to ALCO and this time purchased eight more C-420's. This order was placed by a different parent company; the MTA. 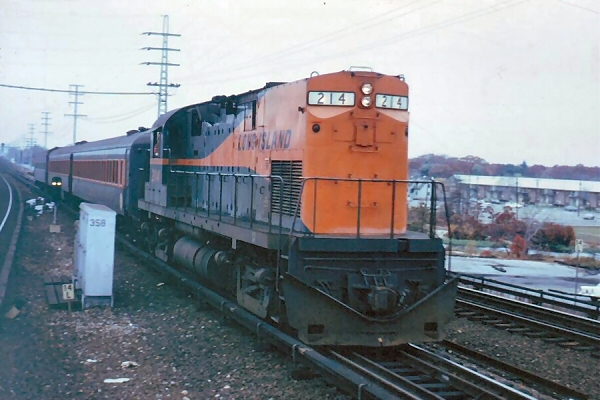 With the LIRR no longer under control of the Pennsylvania Railroad, the Metropolitan Transportation Authority, or MTA, purchased the new engines. The MTA made their presence known when the engines showed up at Morris Park. 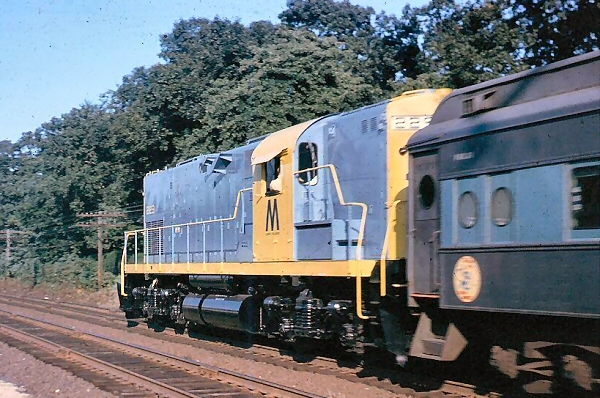 Instead of the familiar gray and orange livery, the second order arrived in the New York State colors of blue and yellow. Not just regular blue and yellow, but pastel blue and yellow. I remember when I first saw them I hated those colors, but later I grew to like them. 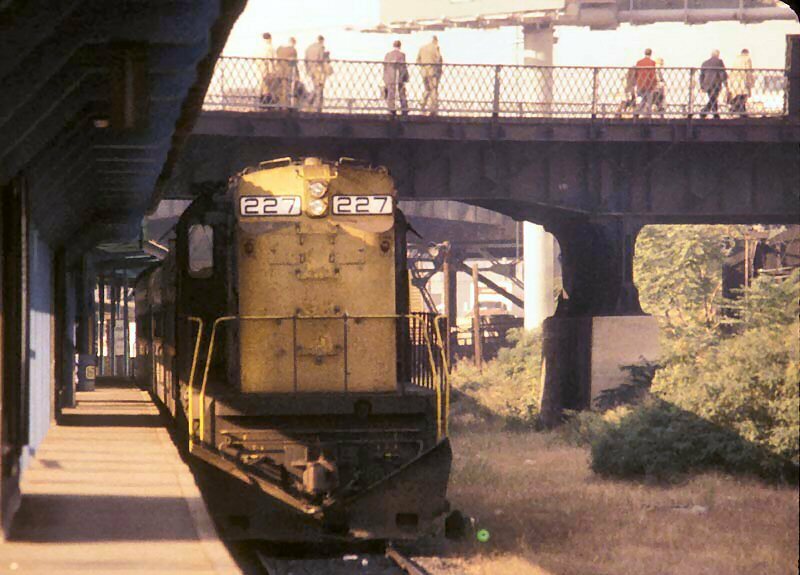 Not many people did like the colors, in particular railroad management. Eventually, the colors were subdued and the entire fleet of Alco’s were painted in this newer scheme. 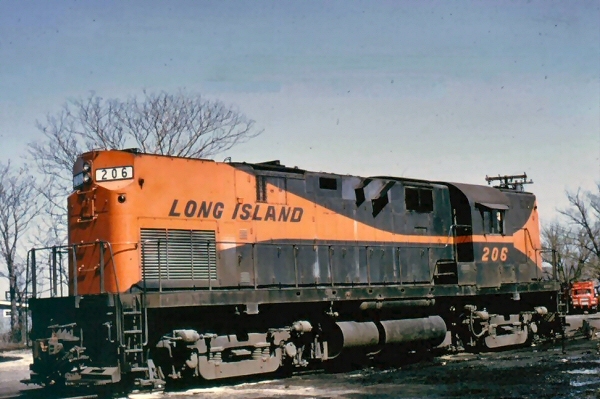 Alco’s 222 though 229 were classified as L-2's. 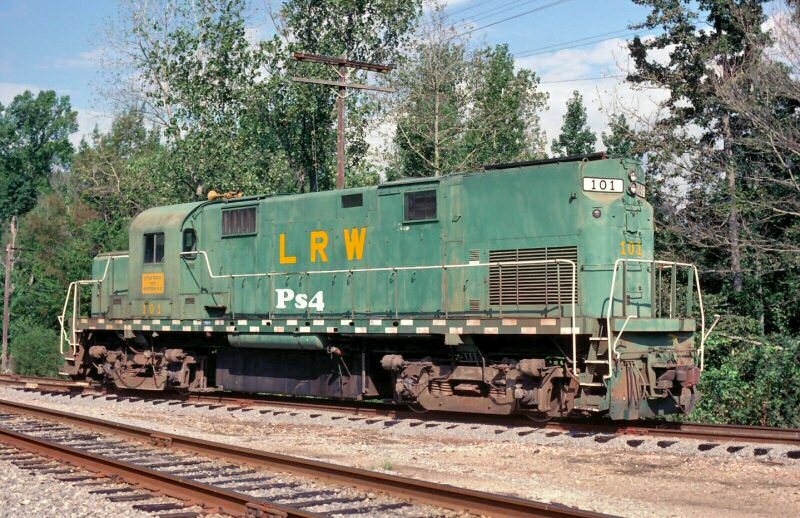 These engines had a 79:24 gear ratio, as compared with the 64:19 gear ratio of the L-1’s. 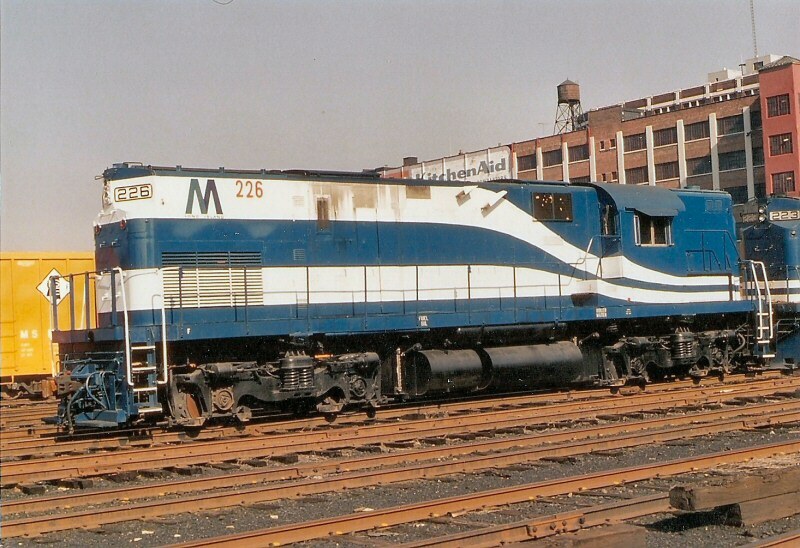 The reason the MTA chose a different gear ratio was because the LIRR was hoping to get other freight contracts that were to be exclusively handled by these engines. 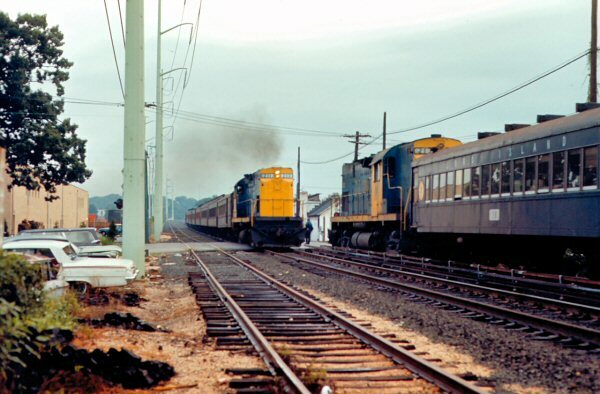 In particular the LIRR was a contender to haul trainloads of sand from Bridgehampton. The idea never materialized and the L-2's were placed in service throughout the island. 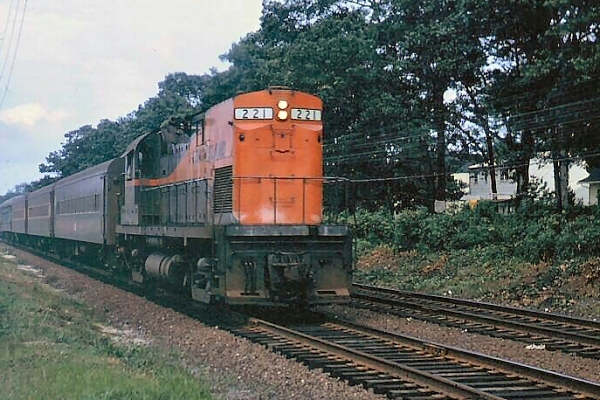 train Montauk 7/1971 Archive: Dave Keller All photos Steve Hoskins unless noted. Editor’s note: The following is part 2 of a two part series. We ran part 1 in the last edition of the RPO. Both parts of this story were originally run in the Sep/Oct. and the Nov/Dec. editions of the RPO in 1996. 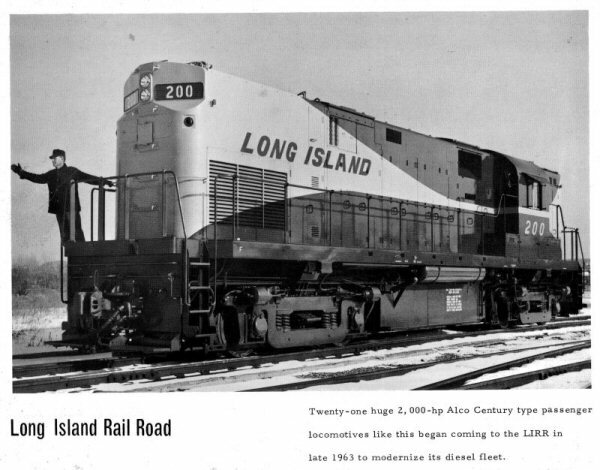 Please note that the whereabouts of the former LIRR C-420’s listed in this article were factual in 1996 but may not be factual today. 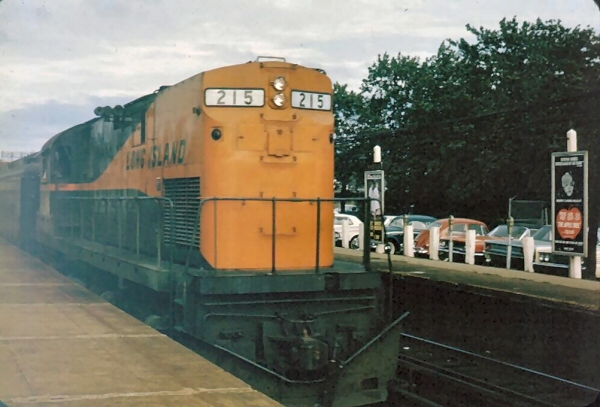 When the LIRR brought the L-1’s to the island, it spelled the end of the Fairbanks-Morse era on the railroad. 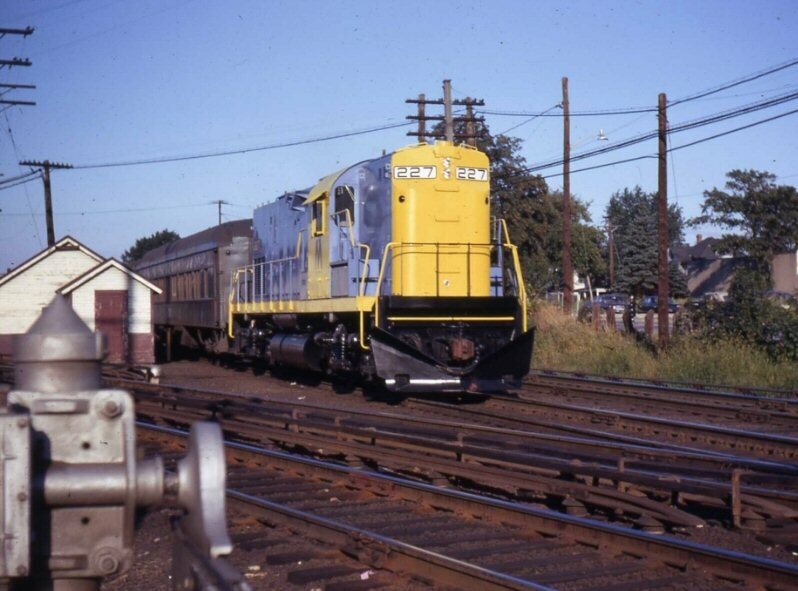 What goes around comes around, because in 1976, the LIRR started to take delivery of EMD GP 38-2’s. This was the beginning of the end for the C420’s. 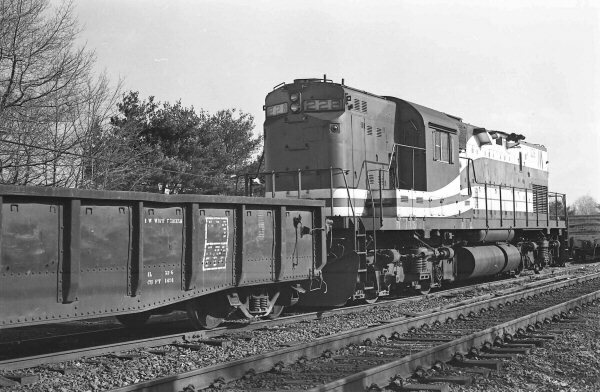 In 1977, EMD MP-15AC’s and SW -1001’s arrived on the property and that was the final nail in the coffin for the L-1’s. The L-2’s miraculously survived into the late 1980' s.
The C420’s as a group wore different paint schemes over the years. 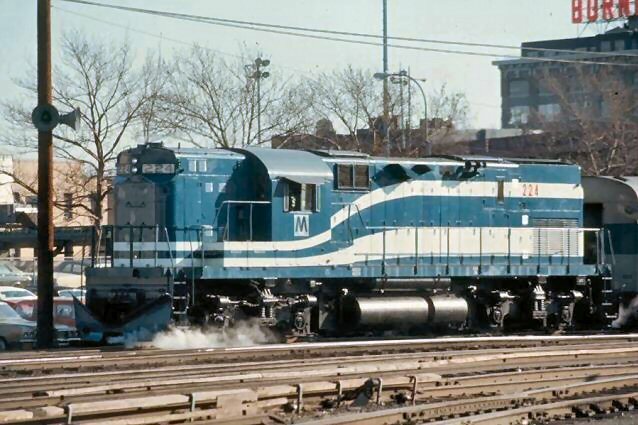 From grey and orange, to blue and yellow, to the blue and white wave scheme to match the GP 38’s to the handsome bicentennial wave scheme of the famous LIRR President Francis Gabreski era. I must admit that I had an unhealthy appreciation for these hulking Alcos. There was always something that increased the adrenaline flow when I saw a C420 rumble by. The earth trembled, black smoke belched forth, it was something I will always remember. 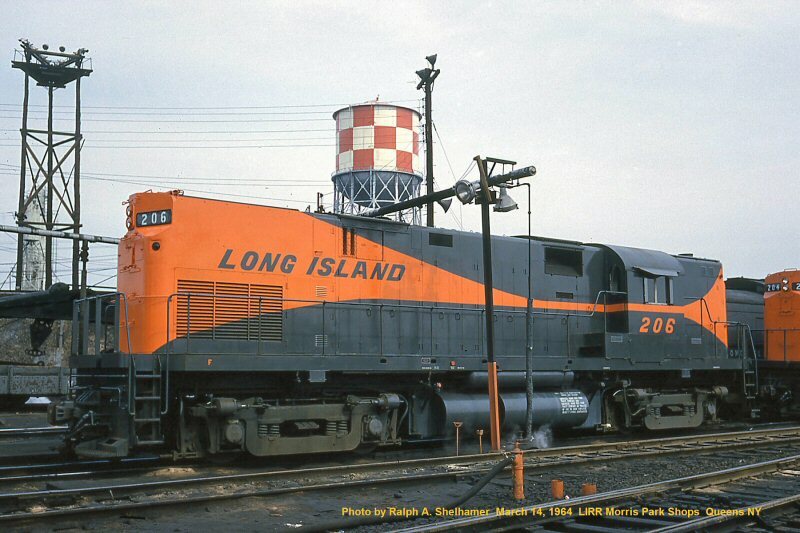 On a quiet night, I could hear the C420’s idling in the Ronkonkoma yards. 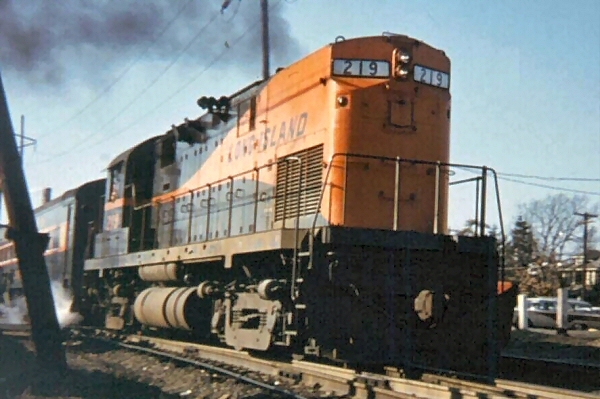 Even the sound of an Alco 251 engine, was like music to my ears. I was so attached to these engines, I could tell the difference in the sound of these engines from the rest of the fleet. 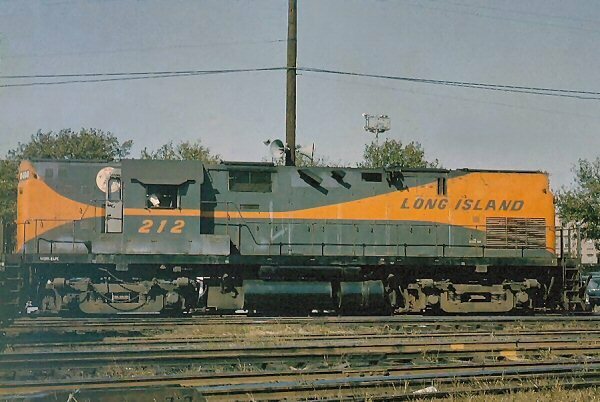 As the lease on the L-1's were about to expire, the LIRR felt that to continue to lease the engines was too costly a proposition, so they were removed from the property, and replaced by a fleet of aging GP-7’s and 9’s, from Precision National and Bangor & Aroostook Railroad. In September of 1989, I was lucky enough to ride, photograph and video the last trip in passenger service of the C420’s. 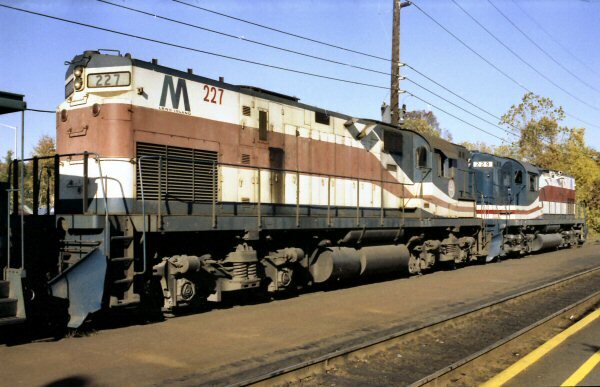 The Morris Park forces had the 225 and 229 looking great for the fan trip that day. The highlight of the trip came at the Clinton Avenue grade crossing for a final photo run by. 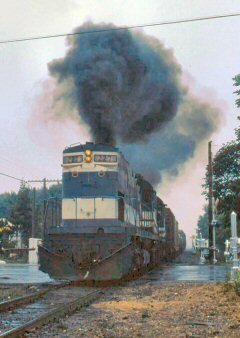 The engineer was given the OK and he loaded the engines up to send plumes of glorious Alco smoke into the sky. They are all gone now, just a memory. 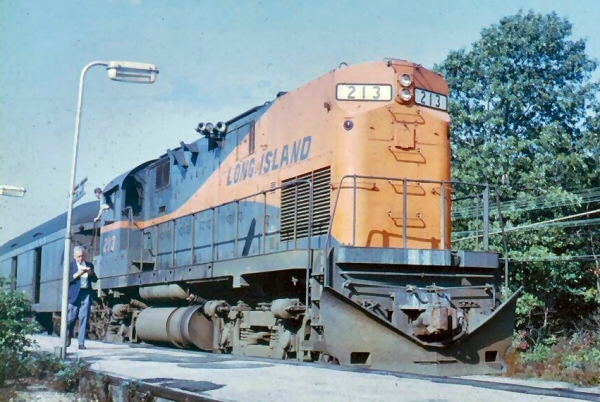 Besides working on Long Island, the engines did, but briefly leave the island. 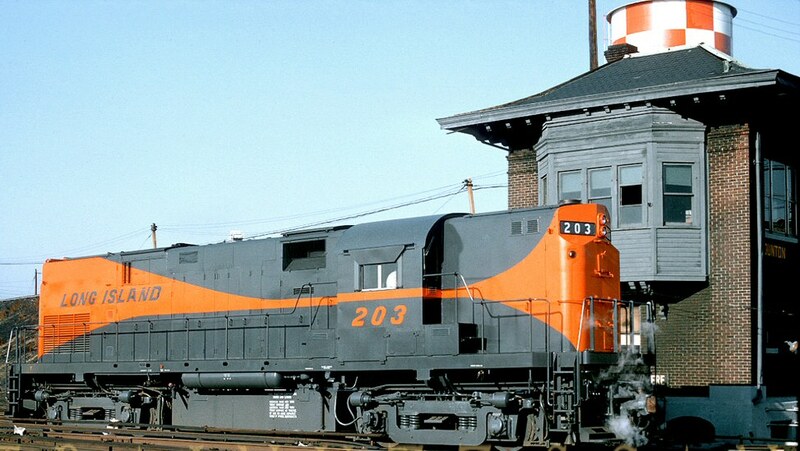 In 1964, units 207 and 208 were loaned briefly to the New Haven Railroad. 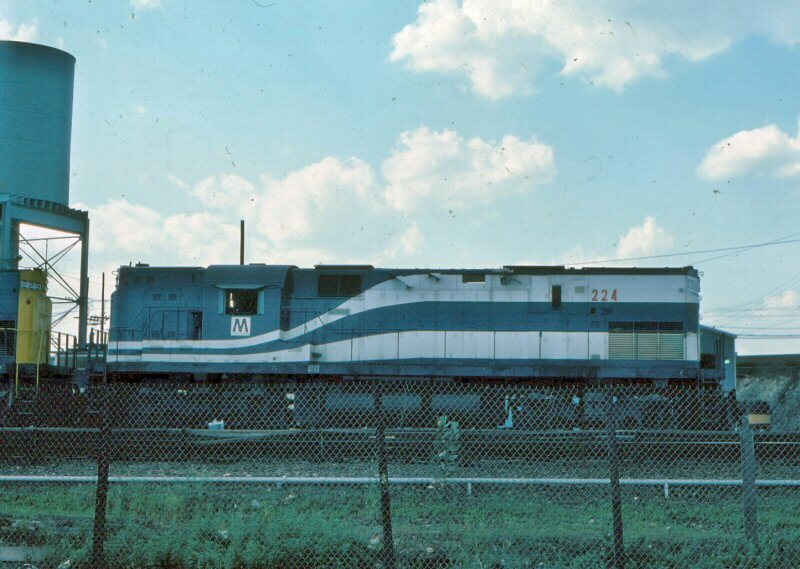 The Delaware & Hudson leased many different C420’s over the years. 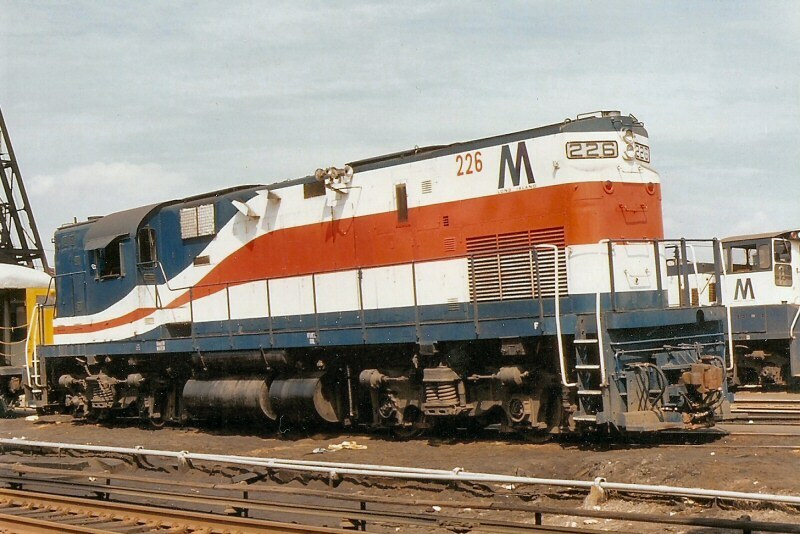 The 223 was leased to Metro-North for work train service. 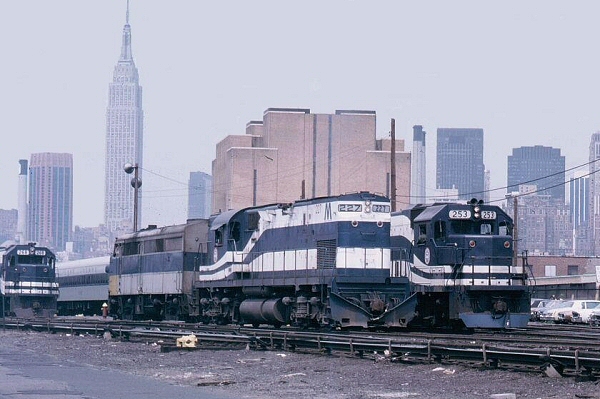 Metro-North even thought about acquiring the L-2 fleet, but the units were too high to work the tunnels of Park Avenue. You may ask whatever happened to the C420’s. 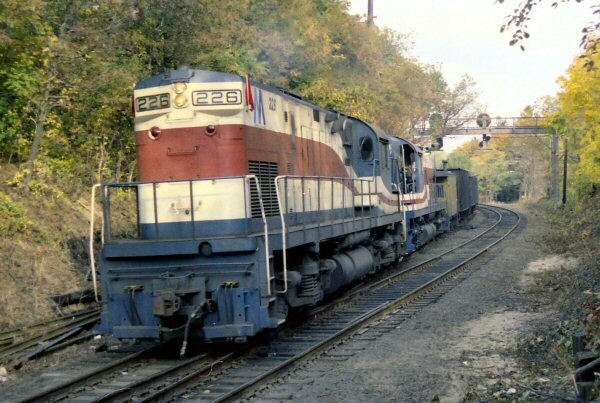 Some survived the scrapper's torch and are still in operation, one in New York State. 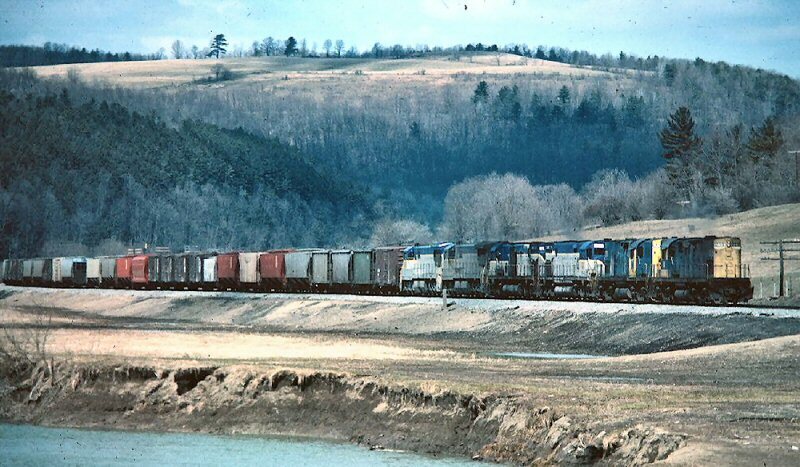 When the lease on the Alcos expired, 200-209 were shipped to the Delaware and Hudson’s Colonie Shops. Number 208 was sent to Morrison-Knudsen in Boise, Idaho. 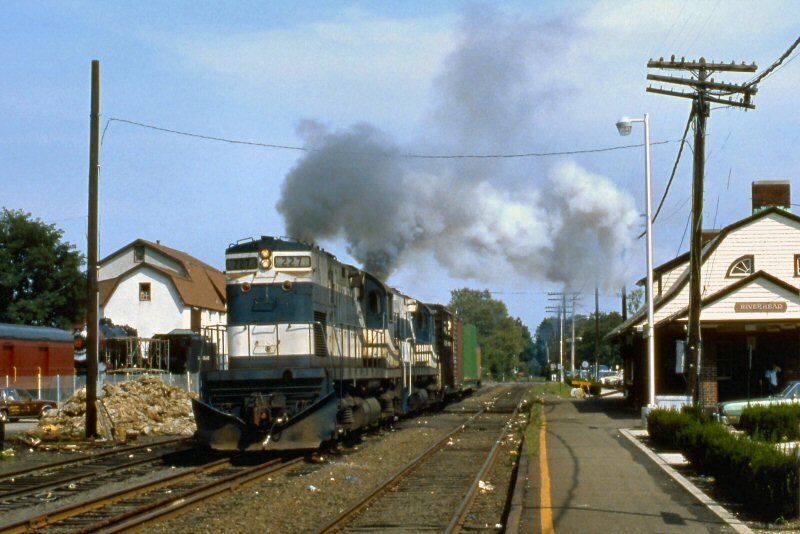 Numbers 210-221 went to the Morristown & Erie. Soon afterward the final fate was sealed and the engines were sold off all over North America. 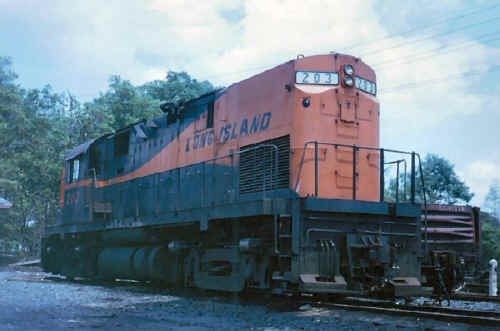 200 was sent to Delaware and now operates on the Livonia, Avon & Lakeville RR. 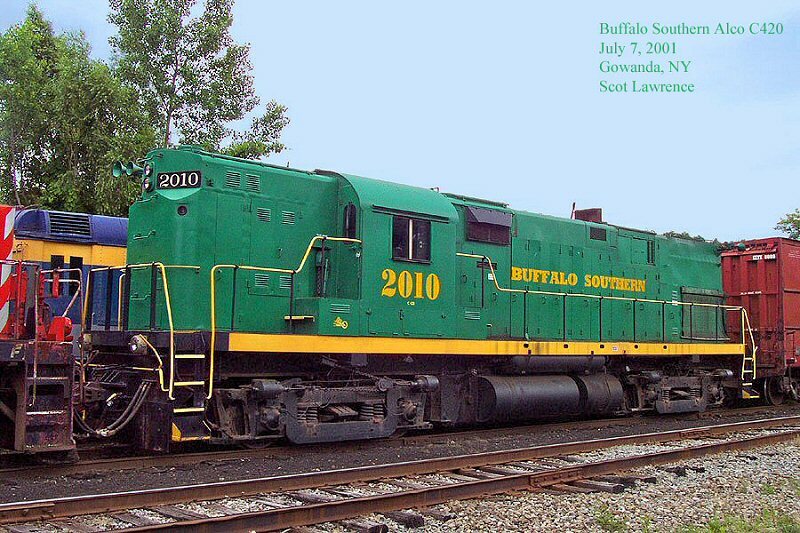 201 & 202 were Sold to M-K and used on the Vermont Northern RR. 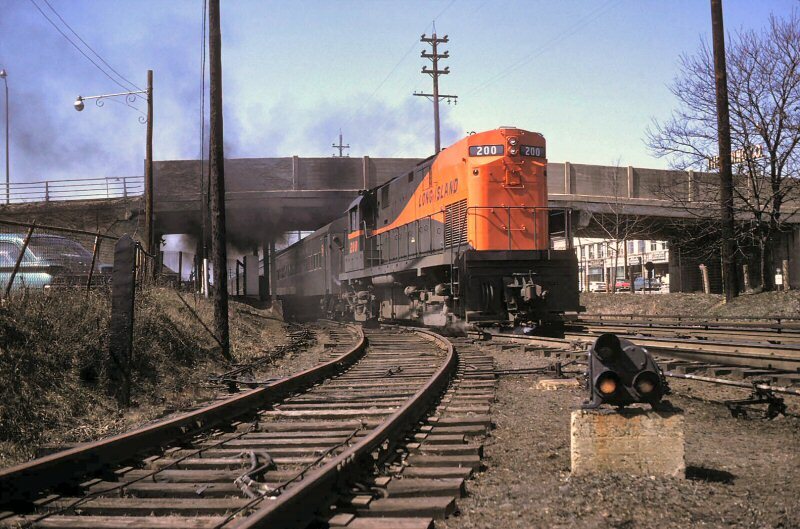 203, 205 & 207 went to Trans Action Lines and were used on the Erie-Western RR (205: 09/26/77 first run). 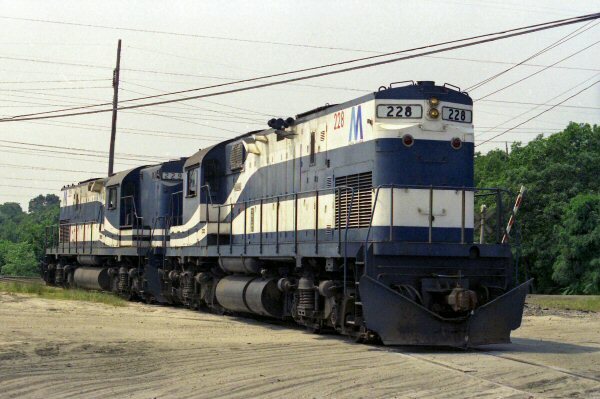 204, 210 & 221 were sold to DMV, and leased to Virginia & Maryland. 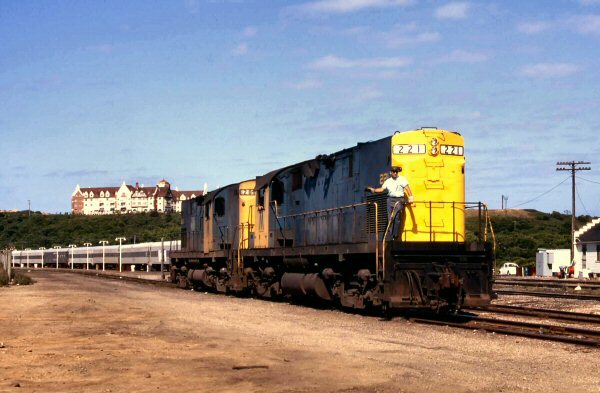 206, 210-216, 218 & 219 were sold to the Roberval & Saguenay RR in Canada. 208 was sold to M-K then later used on the Detroit & Mackinac. 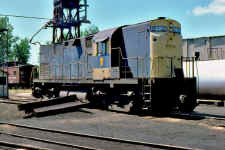 217 & 220 were sold to Naporano Iron & Metal in Newark, New Jersey. 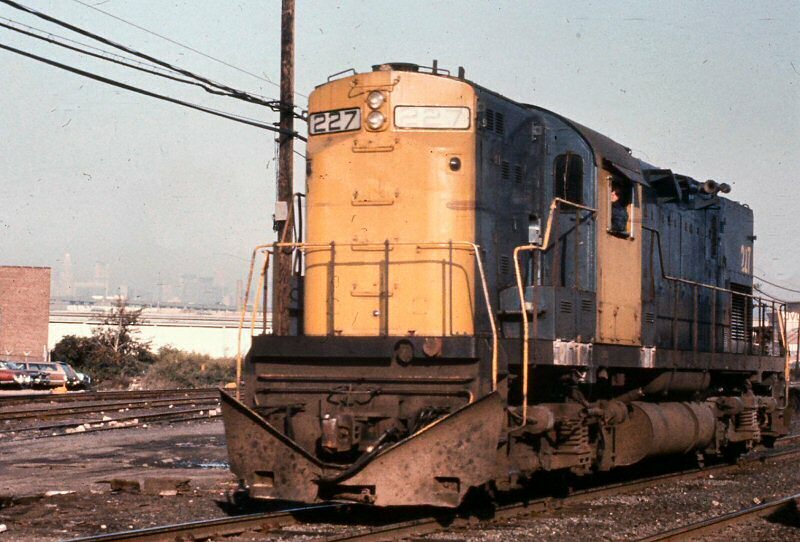 The L2’s lasted until the late 1980’s. 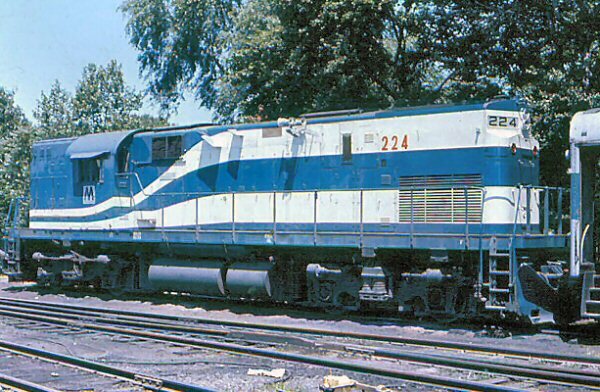 As I mentioned before, 225 and 229 ran a fan trip in 1989. 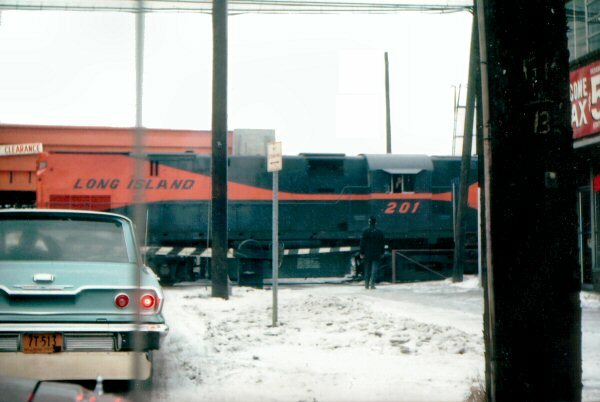 After that trip, the L2’s were seen in work train service, most notably on the Port Jefferson branch. 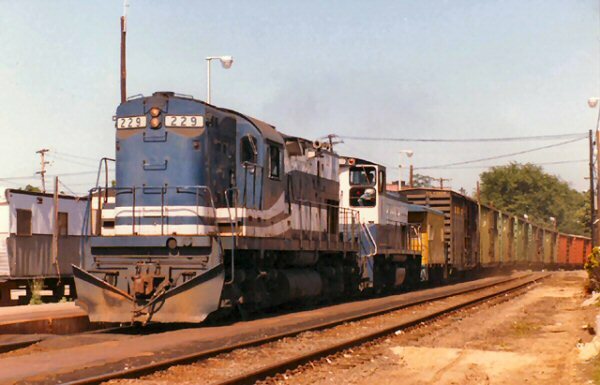 Shortly after that, one of the engines developed severe trouble with either the trucks, wheels or traction motors, and the decision was not to incur the expense of repairing the problem. Also, Alco parts were getting very hard to come by. 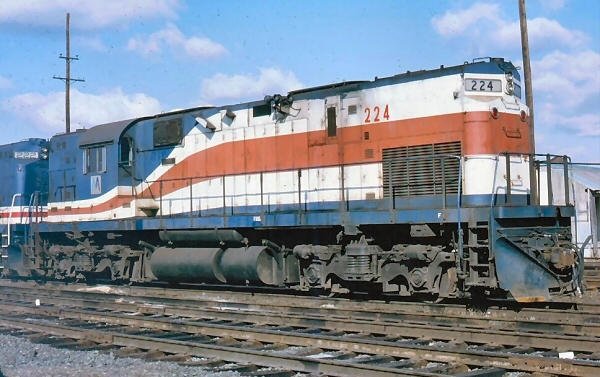 I have been told that 222-229 were all sold to Naporano Iron & Metal of Newark New Jersey. 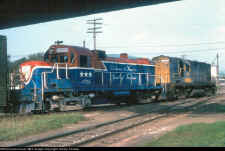 Naporano resold the engines to a South American country. 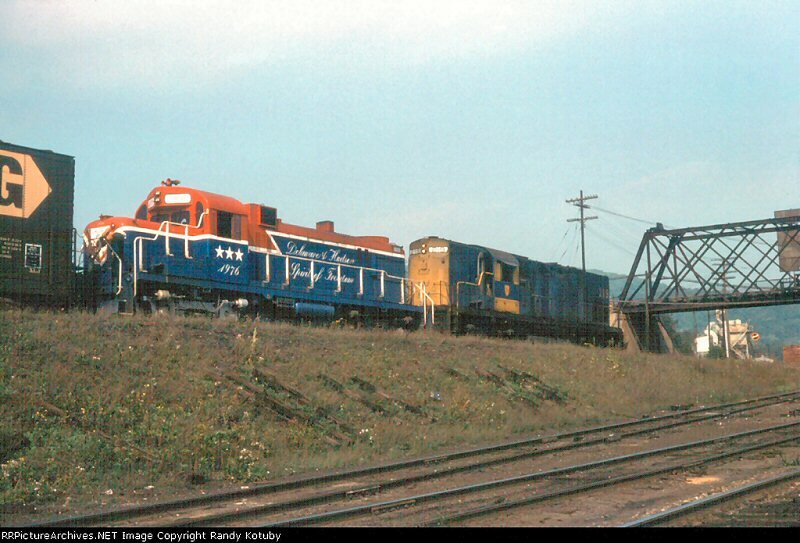 The units which went to the Roberval & Saguenay RR in Quebec are all still in operation. Several of them have had their high short hoods chopped down, others have not received this disfigurement. Hopefully they will not. 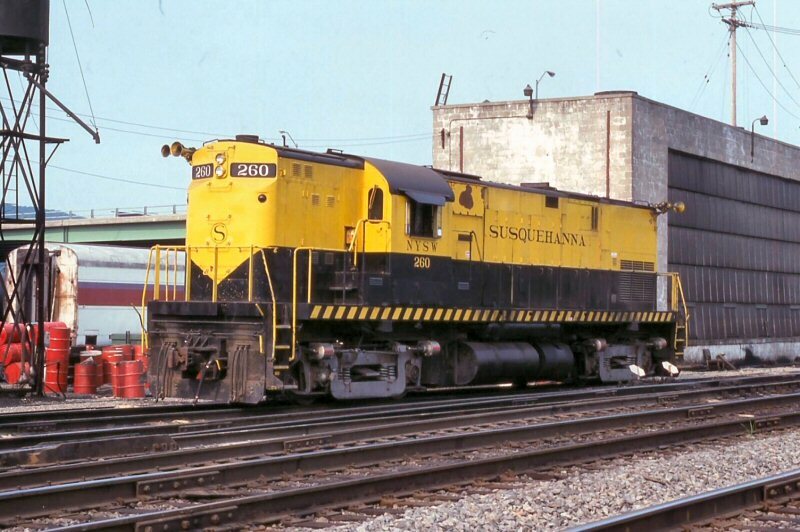 Hi-Ball productions of New Hampshire has a video on the Roberval & Saguenay, and I recommend this tape if you would like to see these ex-LIRR units in action. The Arkansas & Missouri run almost exclusively C420’s. 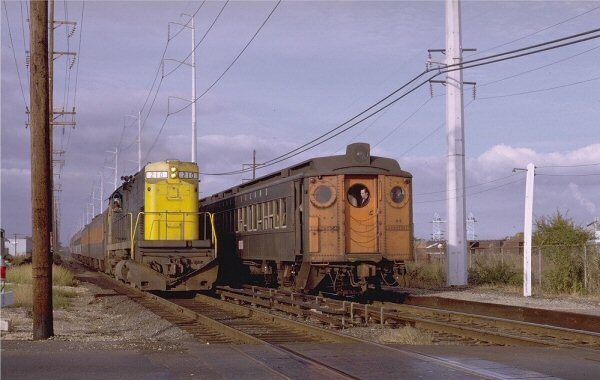 None to my knowledge are of LIRR heritage. The Livonia, Avon & Lakeville RR in upstate New York is running ex-LIRR #200. 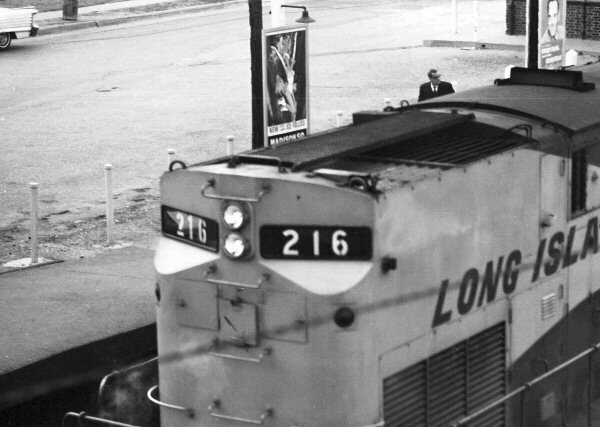 The policy of LA&L is to number the engine according to the model. Hence, it has been renumbered 420. 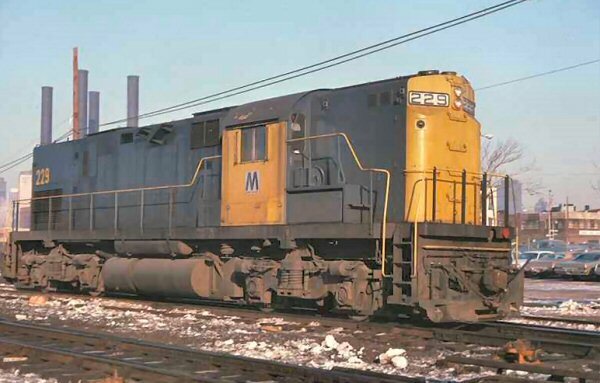 They also have a C425, and its number is, you guessed it...425. 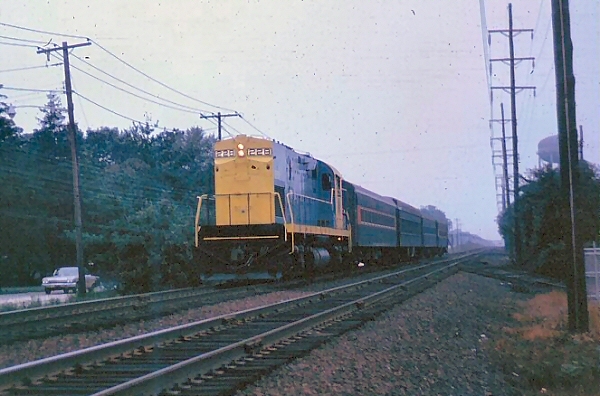 After retirement on the LIRR, the C420's saw service on the railroads named above. However, some units went on to live even fuller lives. 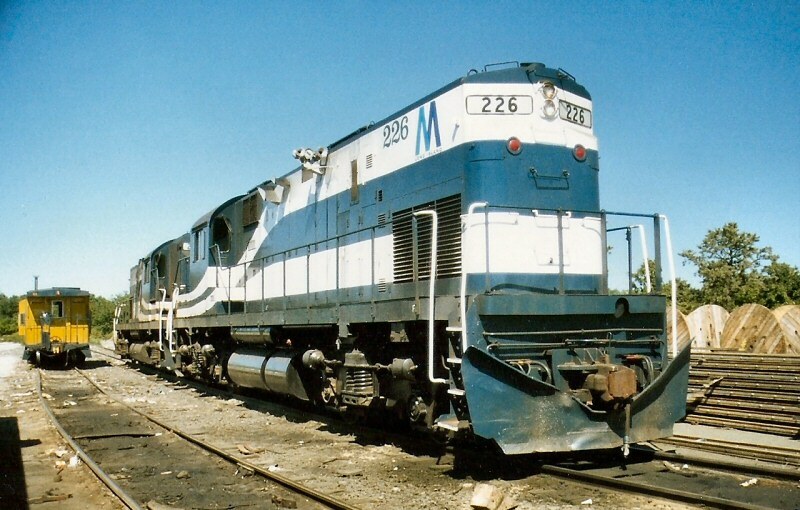 The 201, 204, 217 and 220 worked on the Mexican Railway system. 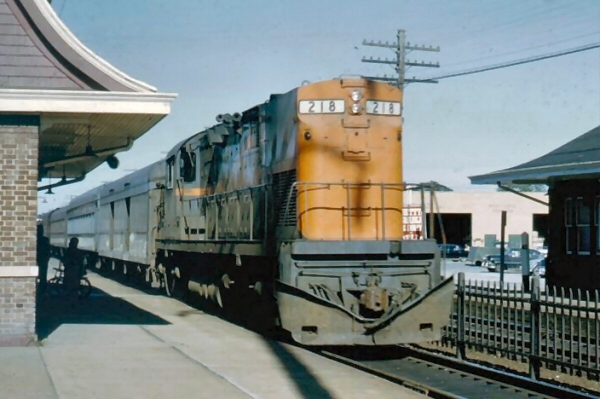 The 207 went from the Erie Western to become 101 on the Little Rock & Western. 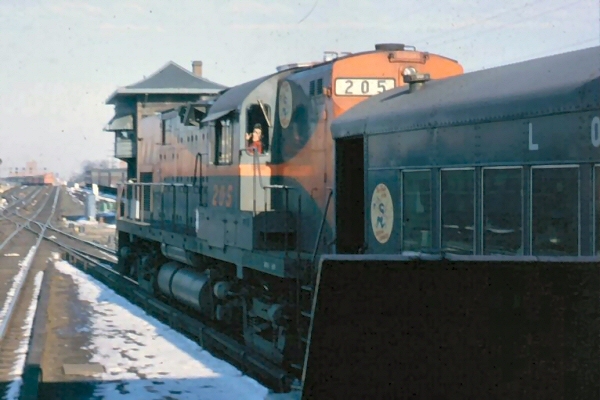 The 201,202 and 204 were used by Morrison-Knudsen on the Vermont Northern. 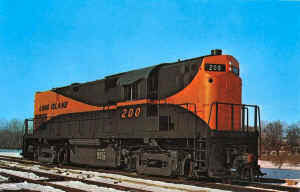 Number 202 was later resold to P. V. Commodity Ltd. in Calgary, Canada. 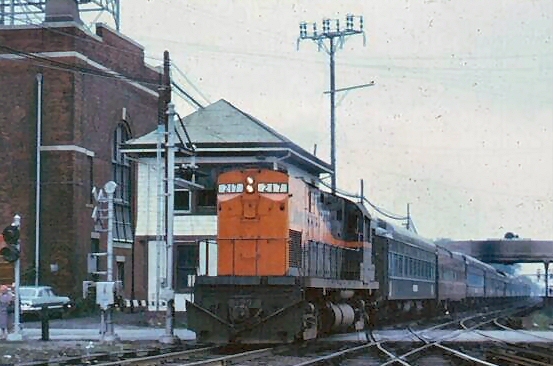 The 207 worked the Green Bay yards on the Green Bay & Western. 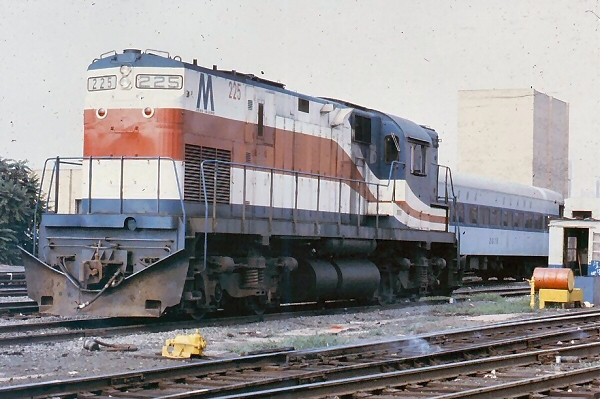 In 1976, a new person in charge of the fleet came from the Milwaukee Road, which sported an all-EMD fleet. 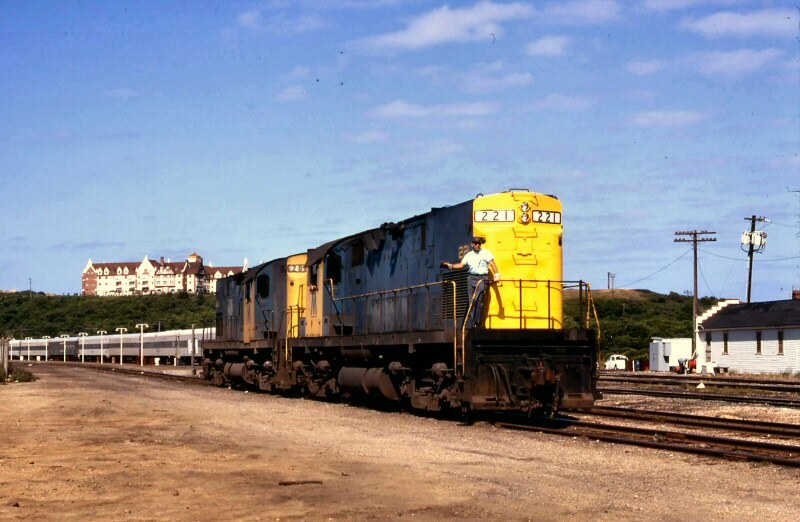 Besides at this time ALCO had ceased to exist since 1969. 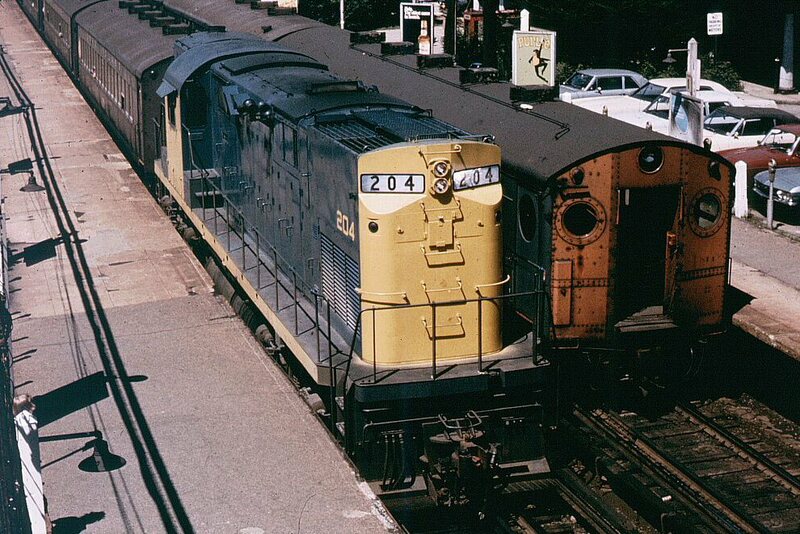 LIRR/MTA management switched to GP 38-2’s, MP-15AC’s, and SW-1001’s as the ALCO fleet was aging. 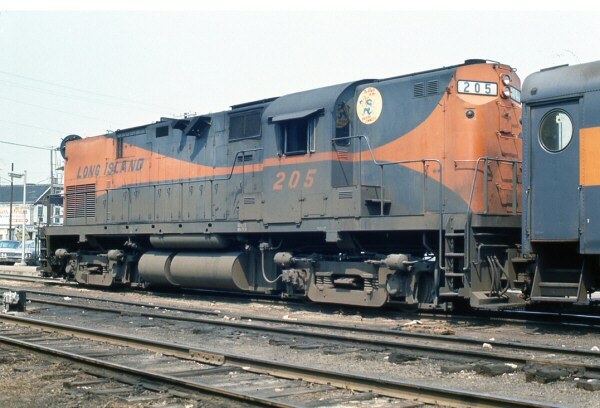 The 252 was the only GP 38-2 to be delivered in bicentennial colors, and was almost exactly the same as the bicentennial engines of the Milwaukee Road. Question: Why plows on RS-3's and not heavier C420's? Answer #1: The heavier an engine is, the less it needs a plow to get thru the snow buildup. 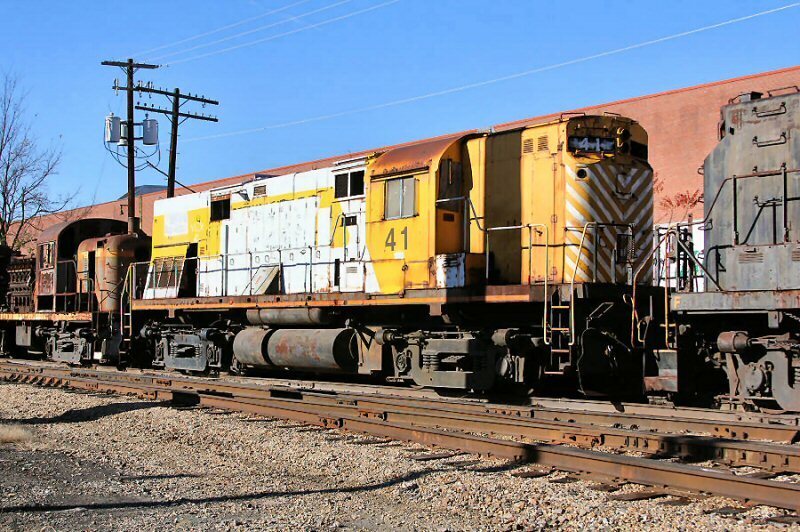 Example: Our GE center cabs are dead meat in winter if not run thru snow as it falls to clear tracks; our GP9's will shove thru anything we've had in 25 years without a plow. 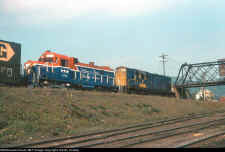 We have a plow on one end of one GP9, and one end of one GE center cab 44-tonner. But we keep the RR open by running patrol trains when it snows, so really don't count on the plows for much beyond clearing the berms piled up by the hiway plows at crossings. 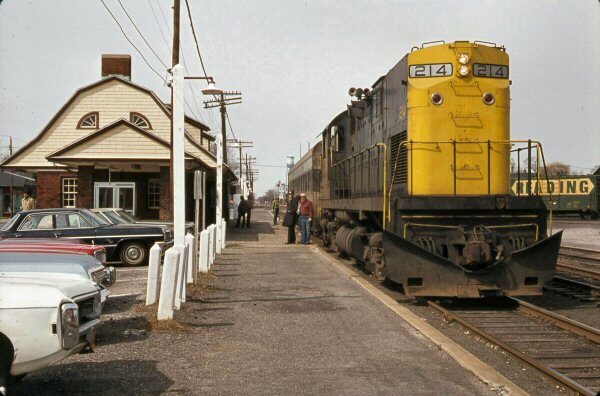 Answer #2: Greenport trains of 1 or 2 cars usually drew an RS3, not a 420. Greenport trip had many places with deep snow piles (cuts). 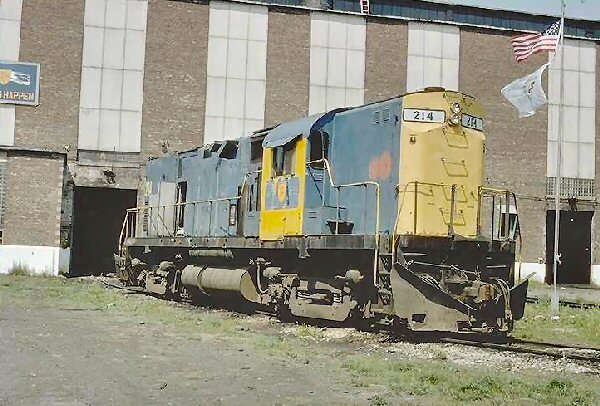 So, why not put a plow on a few RS3s to protect the Main Line service which didn't see 420s much?? Question: When you ran on LI, in the winter snows, did it make much difference whether you had an engine equipped with a plow, or not?" 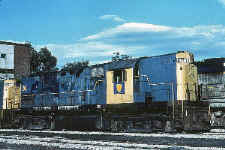 We have a plow on one end of one GP9, and one end of one GE center cab 44-tonner. But we keep the RR open by running patrol trains when it snows, so really don't count on the plows for much beyond clearing the berms piled up by the hi-way plows at crossings. 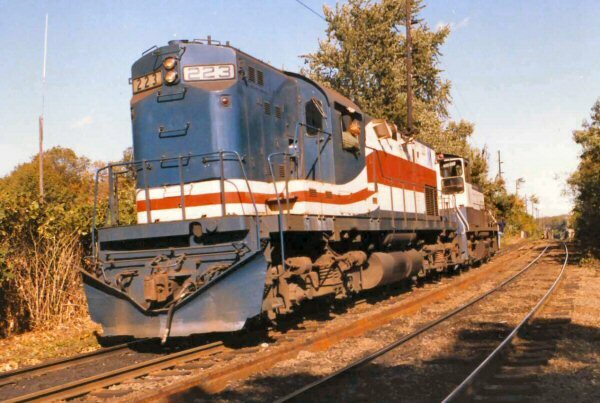 In early 1976 through 1977, the Delaware and Hudson found itself with an ever increasing need for extra motive power. 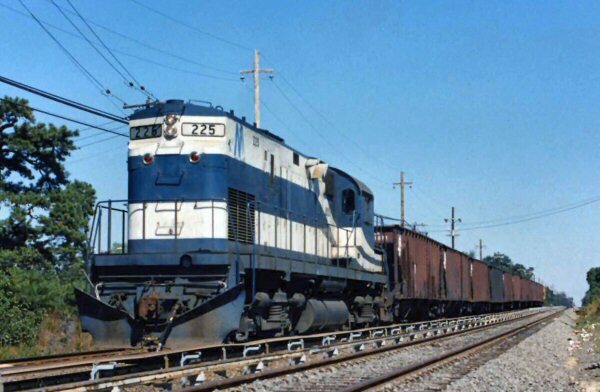 This was due to the newly aquired trackage rights that was brought on by the formation of Conrail. 202, 203, and 205 have been scrapped. 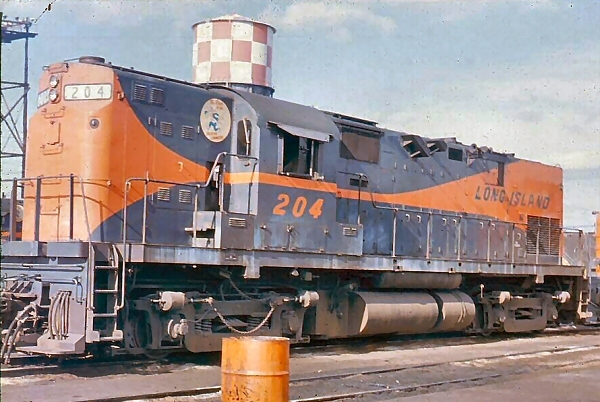 207 Erie Western #207, Green Bay & Western, Little Rock & Western #101 (LR&W), Little Rock, AK. 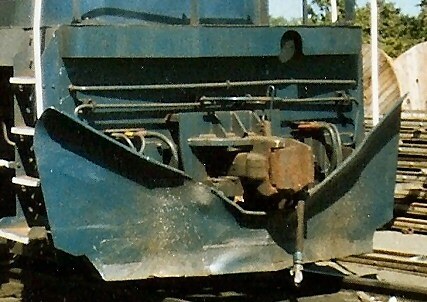 Chop nose, scrapped, used for parts. 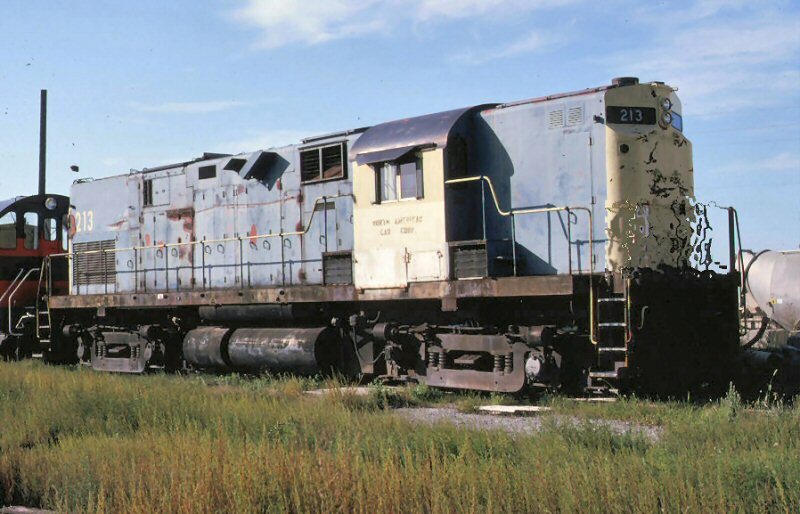 1989 Photo: William S. Smith, Sr. C420 #207 LR&W #101 is scrapped, used for parts. 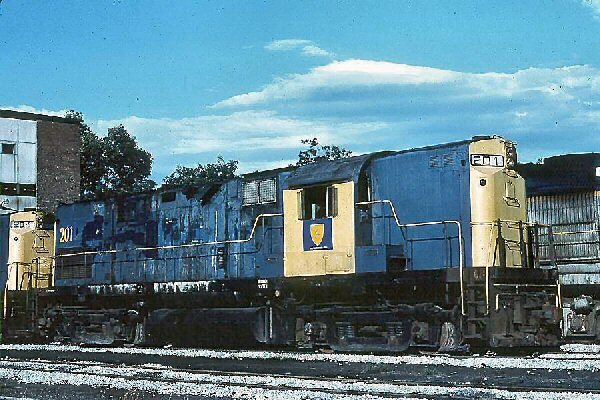 208 Lake States #976 chop nose, had major fire recently and will be scrapped. 208 was supposedly scrapped. Info from Nicholas Todd. 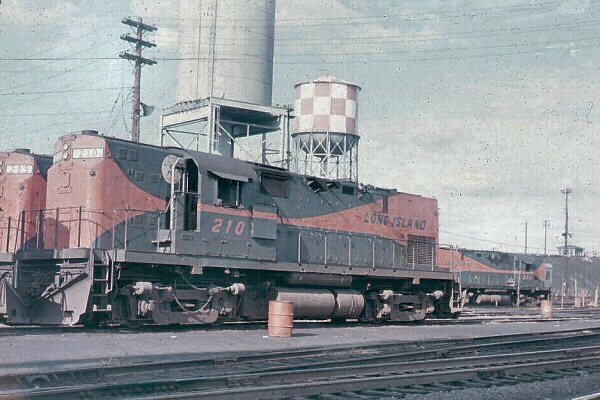 C420 #208 Lake State #976 has been parted out and scrapped. 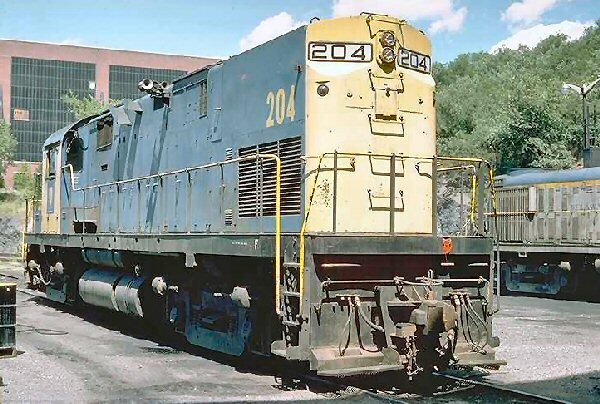 D&H ex-LIRR #212 - Whitehall, NY Photo: James C. Smith, Jr.
213 Dakota Southern RR #213, operational, needs wheel work. 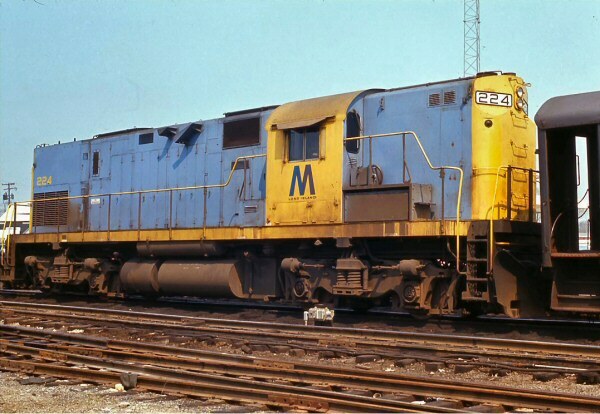 213 was supposed to have a truck swap with an EMD, which would lower it to the standard 70 mph. 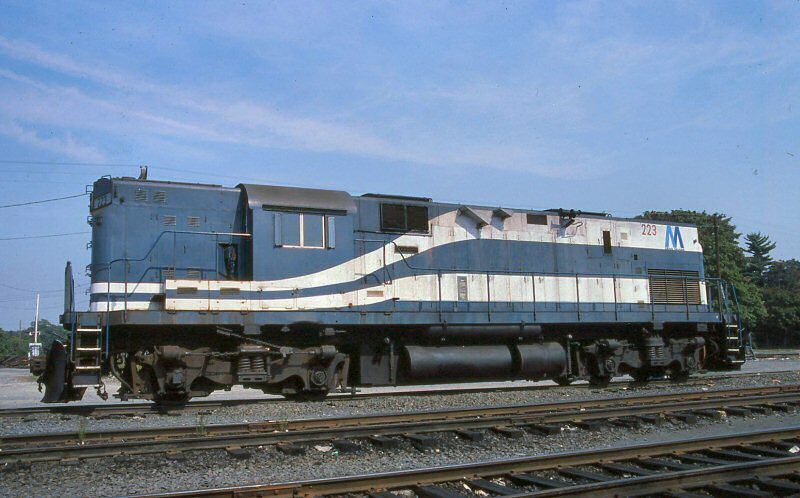 I assume they did or planned to do this to take advantage of the famous Alco acceleration capability. Info from Nicholas Todd. 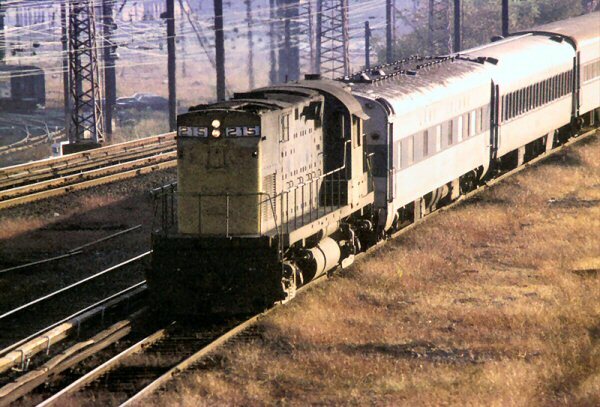 C420 #222, the first of the second batch of C420s was withdrawn from service 1/21/88.